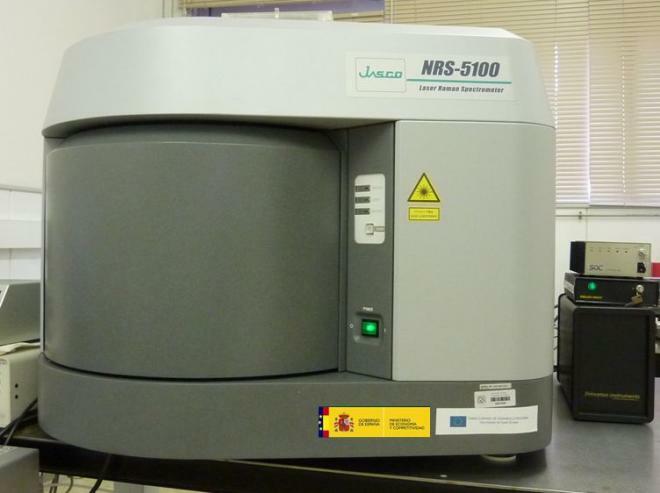 DISPERSIVE RAMAN SPECTROMETER of high resolution (JASCO, model NRS-5100), equipped with a microscope confocal laser excitation lines: 534 nm (ND: YAG doubled in frequency), 632.8 nm (He-Ne) and 1064 nm (ND: YAG). It also allows the use of Cd-I (325 nm) UV lasers. Agency sponsor: Ministry of economy and competitiveness, co-financed with FEDER funds.